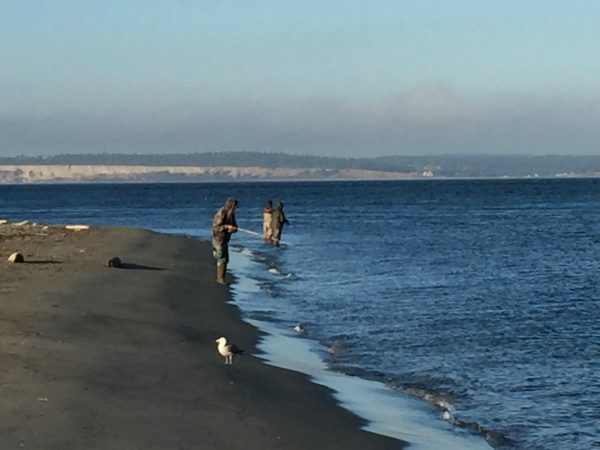 Point Wilson is located in Fort Warden State Park which offers about a mile of prime beach fishing and a decent fishing pier. Park your car out at the lighthouse and hit the beach to pitch herring or even better when fishing for Kings mooch candlefish. Then there is the pier where you can jig up a Coho or plunk for bottom fish from the deep. For Point Wilson fishing access see map below. Stay tuned for a Point Wilson Fishing Report when the salmon are running.